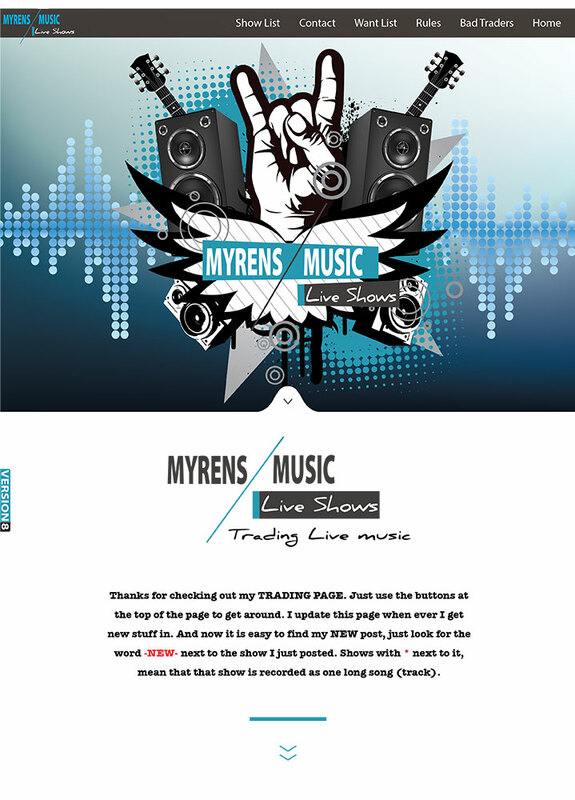 MYRENS MUSIC. TRADING LIVE SHOWS. BOOTLEGS AND SUCH. but it is not the same as a commercially release recording. muffled or bass heavy or the vox might be drowned out. D = Shows were recorded at lower recording levels, increasing tape hiss. This is for fans only. I am currently trying to put all my video (VHS) shows onto DVD. If the show you want is not listed as being on DVD ask me about it as I am always working on this. Thanks again for getting here and checking out my little space on the interweb.